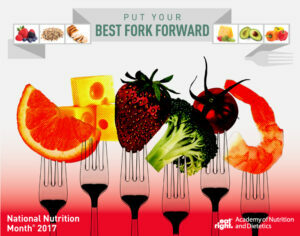 March is National Nutrition Month, and this year’s is “Put Your Best Fork Forward”, which acts as a reminder that each bite counts. 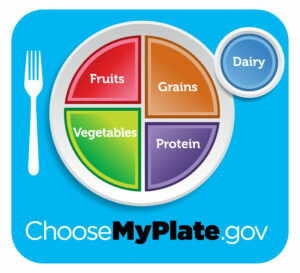 Making just small shifts in our food choices, can add up over time. In honor of National Nutrition Month, our registered dietitians have been discussing the importance of diet and nutrition for cancer prevention. Don’t skip meals! Eating regularly throughout the day prevents dips in energy, keeps you alert and focused, and helps prevent overeating at later meals. Try to eat every 3-4 hours.